The ONLY OCEANFRONT UNIT CURRENTLY ON THE MARKET and these units rarely come along! 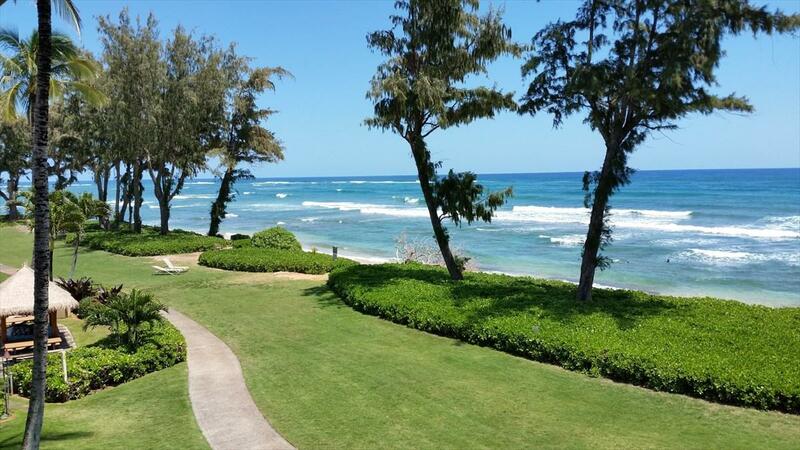 Impeccable location in the middle of the Ni'ihau building, front and center oceanfront Penthouse. By far one of the nicest units at the Islander on the Beach. Stunning ocean front viewing. This unit has been a very successful vacation rental for many years. If you are looking for a vacation home or an investment property, look no further, this is it. You'll enjoy a new bike path that runs in front of this property with access to miles and miles of coastline. Newly upgraded bathroom, shower, and island-style furnishings. Unit includes travertine floors, kitchen area with under counter refrigerator, microwave, and granite counter tops. 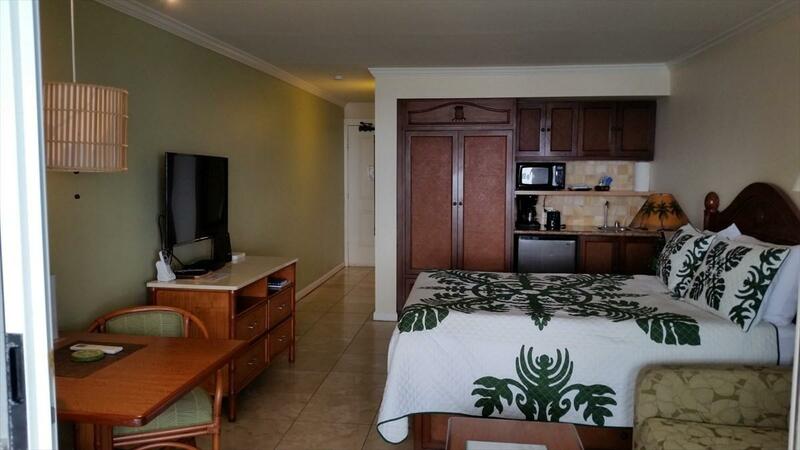 Unit has A/C, dining table, TV, large closet and high speed internet access. Building is a solid cement block construction with new roof and Photovoltaic (PV) electric system. Outdoor area includes pool, jacuzzi, shower and stainless steel BBQ grills. 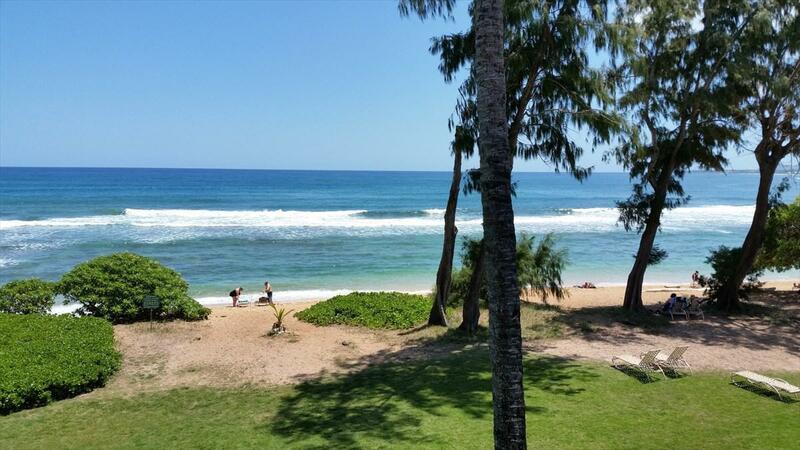 Islander on the Beach is located in the Heart of Kauai within walking distance to shopping, activites, restaurants and 10 minutes to airport. 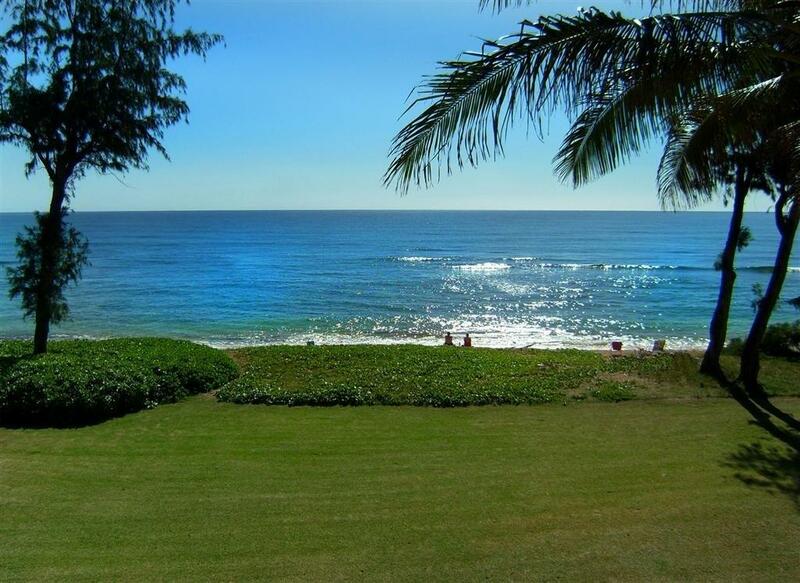 Listing courtesy of Coldwell Banker Island Properties - Kauai.